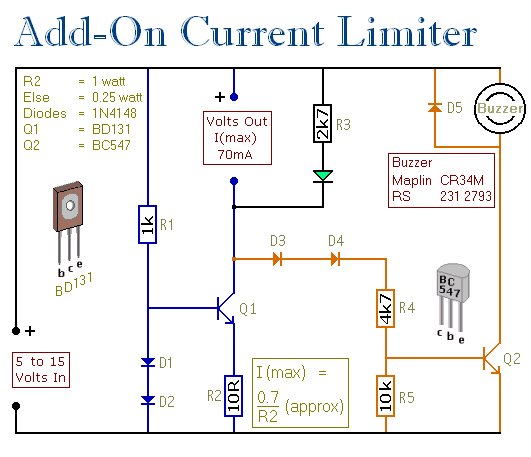 This circuit allows you to set a limit on the maximum output current available from your PSU. It's very useful when you power-up a project for the first time - or carry out a soak-test. 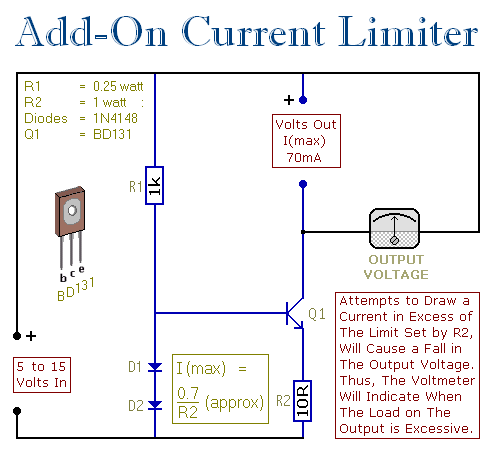 By setting an upper limit on the current available from your PSU - you can protect both your power supply - and any device connected to it. The basic circuit is shown in the first schematic. The two diodes fix the voltage on the base of the Power Transistor at about 1v4. This means that the voltage across R2 is fixed at about 0v7. If R2 is 10 ohms, then the maximum emitter current is (0v7 С‡ 10) about 70mA. 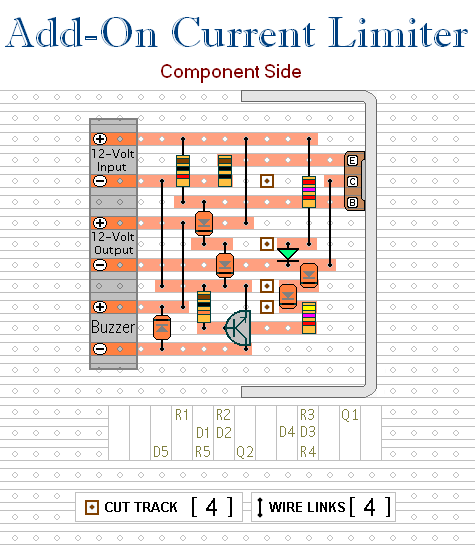 The Support material for this circuit includes a detailed guide to the construction of the circuit-board, a parts list, a complete circuit description and more.